With the Philadelphia Eagles heading into the divisional round of the NFL playoffs, we took a look yesterday at how this team compares with the 2017-18 team that won it all, position by position, on offense. Today, we’ll look at the defense. Graham was a more disruptive player last year than he has been this year, so we’ll give “last year Brandon Graham” the edge. Also, the Eagles signed Bennett to replace Curry, and although Bennett has been better, I would still take the combo of Barnett and Curry over Bennett, for depth and rotational freshness purposes. Cox had his best season as a pro this year, but I’ll take “Last year Jernigan” and Allen over “this year Jernigan” and Ngata all day. I do think Hester is certainly better than Vaeao, but not enough to make up the difference. This one is simple for me. While the linebacker configuration is a little different, in that the roles of the No. 2 and No. 3 linebackers have changed from last year to this year, I’ll take Hicks over Kendricks and Grugier-Hill over Ellerbe. This is where the Eagles have changed the most from last year to this year, obviously, with Mills, Darby, and Robinson all on IR (and Robinson also no longer on the team). Mills and Darby had their moments last season, but were inconsistent, while Robinson was one of the best slot corners in the NFL. 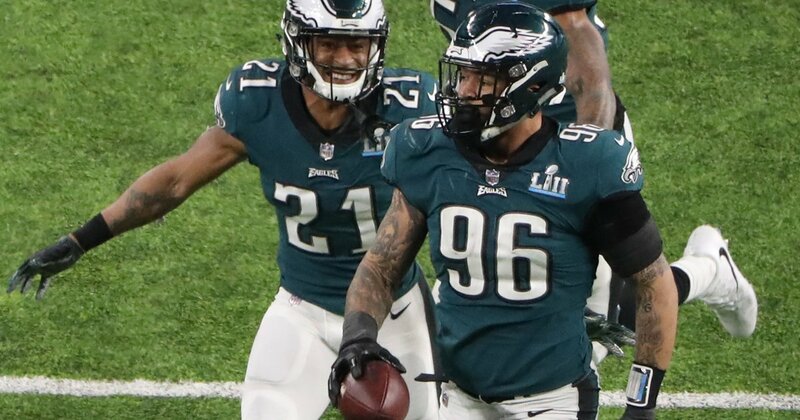 Meanwhile, Maddox, Douglas, and LeBlanc all started the season on the bench, but that trio has easily been the biggest pleasant surprise of this late-season Eagles run. Am I crazy for feeling better about this year’s group of corners than last year’s? Obviously, the Eagles are better with McLeod than they are without him.